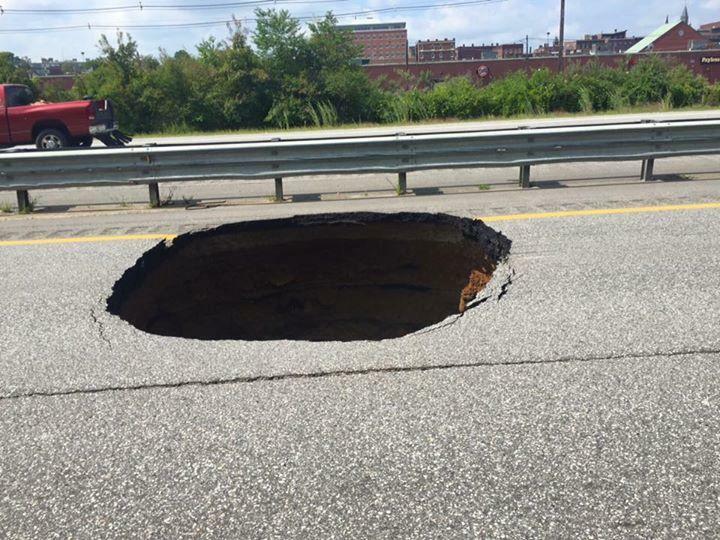 Nothing disturbs the flow of automobile traffic like a sink hole big enough to swallow your car. Drivers need to navigate around it, and they become scared to death that another one will appear. HTTP 403 Forbidden error messages have a similar effect. When a user is happily clicking through your web page and suddenly get an error message, because they don’t have authorization to perform an operation, it has a really negative effect. They don’t have an understanding of why it occurred, so it’s up to you to prevent these type of problems.To provide a good user experience, UI elements that lead to an action the user can not perform should be hidden, modified, or never included in the page at all. The trick to making this easier, is to leverage the tools and code you have already put in place to protect Controllers and Actions in your ASP.NET Core application. Let’s take a look at using existing Authorization Policies and Tag Helpers when constructing Views. Authorization checks in ASP.NET Core can be made imperatively using an instance of the IAuthorizationService. It has a method called AuthorizeAsync that can take in a user, a policy name, and on optional resource to determine if the user has can perform an operation. This means that we can use the same policies that were defined in our StartUp.cs file to find out if a user will be able to execute an action in a controller. To make that happen, we’re going to need the same instance of IAuthorization that was configured in the Startup.cs file. The dependency injection system that comes with ASP.NET Core is also available in Razor views, so we can use it to get a copy of the authorization service. The @inject directive can be added to the top of a Razor page along with a variable declaration to get a reference to the object in the dependency injection system. If you need to include authorization checks on all of your pages, it may make sense to include the authorization service in the _ViewImports.cshtml file. Any using or injection directives you add to the _ViewImports.cshtml file will become part of any view that get rendered. Once we have used DI to get an instance of IAuthorizationService, we can use it to perform authorization evaluations. Suppose we have a list of resources, and we want to display a link to each resource that the user can view. We could simply loop through the collection of resources and perform an authorization check passing in the resource. The AuthorizeAsync function found in the authorization service will perform the policy evaluation and return the result. We can use that result to decide if the link should be included in the page. For the example below, I’m using a resource that represents a server room, and the user must meet certain criteria in order to enter it. Because we have a list of server rooms, we need to loop through each one, and perform a resource-based authorization check, using the instance of the ServerRoom class, along with the user, and the name of the policy. If the evaluation of the policy succeeds, the link is added to the page. Once you’ve gone through the process of setting up the policies for you application, adding Authorization checks to your View is very straight forward. The problem is, including authorization checks in your Razor pages can make the code cumbersome and difficult to read. For this reason, I suggest you utilize a tag helper when implementing authorization in a view. It’s not terribly difficult to implement your own tag helper, and it will save a ton of time. To start, lets look at what information our tag helper will need to perform our authorization checks. •	An instance of the AuthorizationService. •	The user from the HttpContext. •	The resource we are evaluating. •	The name of the policy that we will evaluate. With these requirements in mind, lets look at how we can build our tag helper. Start with a new class called AuthorizationTagHelper. We’re going to need to include a few libraries for our class, so we can reference instances of the AuthorizationService and HttpContextAccessor, as well as inherit from the TagHelper base class. Now we need to define the class, and decorate it with an HtmlTargetElement attribute. This will allow us to specify the attribute in our Razor code that causes the TagHelper to modify the HTML. For this case, I’ve chosen to use “authorize”. The first two pieces of information we need to perform an evaluation are the IAuthorizationService and HttpContextAccessor. We can get those via dependency injection, so I’ll create private readonly variables for them, and add them to the constructor of our new class. The resource and name of the policy must be specified by the user, so I’ve created a property for each. Because the user will be assigning them in the view, I want to give each property an attribute name. The last thing we need to do is override the ProcessAsync function from the TagHelper base class. Here is an example of how our Tag Helper can clean up our Razor code. Looks much cleaner, and you won’t have to worry about traffic hitting those 403 errors!